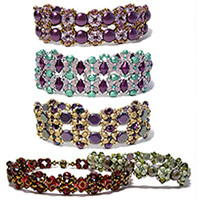 Use size 11 seed beads and two-hole diamond beads (DiamonDuo or GemDuo beads) to create “columns” of diamonds and then fill the diamond-shaped holes created with even more diamonds! 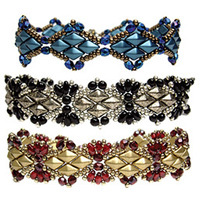 Step-by-step illustrated directions provided to make a band as wide as you are able to clasp. 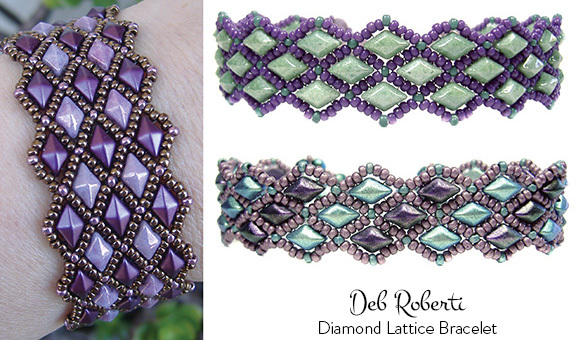 Looks intricate but it is created with an easy repetitive weave. 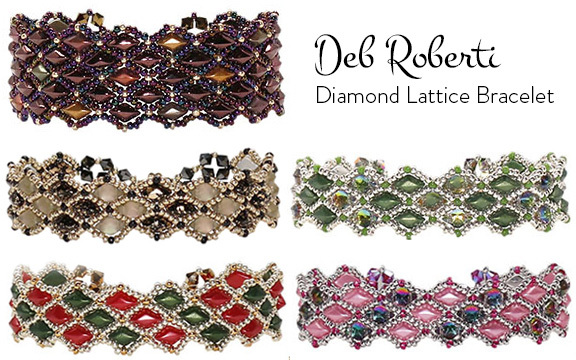 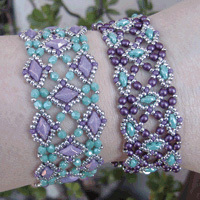 I use one color of two-hole diamond beads in writing up the instructions but pattern charts are included for making multi-colored bracelets and blanks charts so you can create your own patterns.